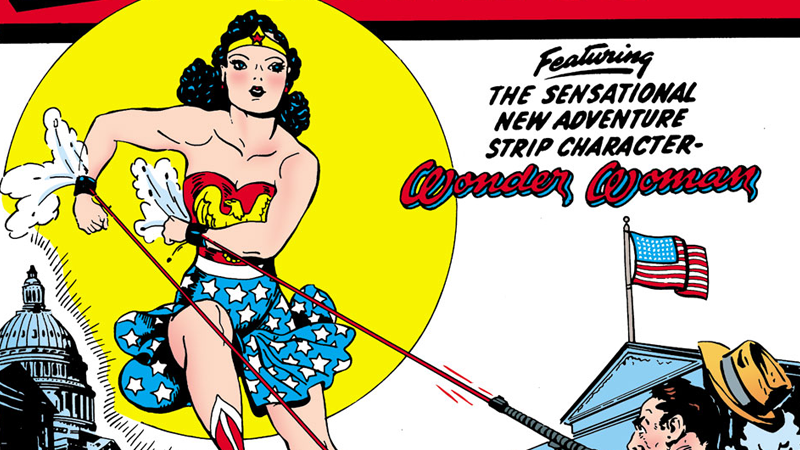 With the Wonder Woman film gathering hype ahead of its 2017 release, and the current comic writer Greg Rucka confirming that the character has “obviously” had relationships with other women, there’s no better time for Professor Marston & The Wonder Women, a biopic of Wonder Woman creator Dr. William Moulton Marston. Marston was a Harvard psychologist and an inventor who was married to a psychologist and inventor named Elizabeth—but their relationship also included a third partner, Olive Byrne. Both women had children by him; he died just a few years after Wonder Woman’s creation in 1941, and Elizabeth and Olive stayed together for decades. Marston created DC’s iconic Amazonian princess with significant input from Elizabeth, and was profoundly influenced by the feminist ideals espoused by Elizabeth and Olive. After his death from skin cancer in 1947, Elizabeth and Olive raised their children by Marston together, and remained a couple until Olive’s death in 1988. The film will explore how Marston dealt with the controversy surrounding his creation, which homophobic moral guardians charged would turn young girls into lesbians, while he and his partners navigated and concealed a romantic and family life that, if exposed, could have destroyed them all. Writer-director Angela Robinson (D.E.B.S., True Blood, How to Get Away With Murder) will begin shooting the indie feature next week. The cast includes Luke Evans as Marston, Rebecca Hall as Elizabeth, and Bella Heathcote as Olive.